Have you seen this show that is shown on ABC? If you have not, you MUST! This show is hilarious! 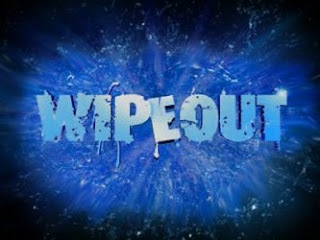 Each week 24 daring new contestants of all ages, shapes and sizes will go head to head through rounds of grueling and physically demanding but wildly hilarious obstacles to win the title of "Wipeout Champion" and the grand prize of $50,000. The contestants and the courses change every week, including new over-the-top obstacles such as "The Catapult," "Plank in the Face," "Hurtles," and the return of the fan favorite the "Big Balls." In the end, only one contestant will win, while everyone else will Wipeout! Me and the Mr. love to sit and watch this show. You would think that these people are crazy for participating, but they do which makes good TV because I know that we LOVE watching this show. Note, I would refrain from drinking liquids while watching this show as you might burst out into laughter and possibly create a mess. lol. Here is a brief video of what the show is about. Enjoy! LOL we love this show too! Garrett even thinks it is hilarious! Love it! DH and I crack up over it!